Should WordPress be my website’s content management system (CMS)? There are a host of content management systems (CMS) that simplify the management of your website's content. We are going to explain why WordPress should be your first port of call. 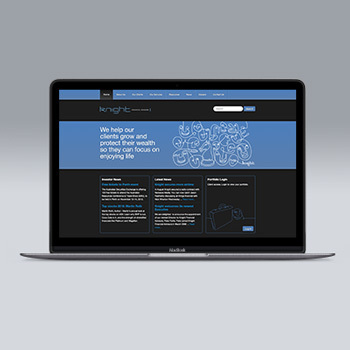 WordPress website design and development for NKH, Perth. WordPress has become the world’s most popular website content management system or CMS for website designers, it is written using the PHP programming language and is supported by a MySQL database. The single most powerful aspect of WordPress are the plug-ins, enabling technical functionality to be added to websites with relative ease. The plug-ins can be custom coded by your web developer to ‘bolt on’ specific functionality requirements, or for more commonly required items such as ‘contact forms’ or ‘image galleries’, plugins can be purchased or downloaded freely from the multitude of readily available resources online. There are thousands of large corporate websites running on WordPress and with endless possibilities of customisation there is really no limit as to what it can and can’t do. When publishing this article the latest version of WordPress was V3.42 which was first released in December 2013. By February 2014 WordPress announced that version 3.8 had been downloaded by over 20 million users! The awards and praise have been rolling in for a while now with ease of use and scope for customisation being the two attributes garnering the most attention. The result is that of the top 1 million most visited websites that utilise a CMS, 55% of them are using WordPress. This huge portion of the market share in a scene where new competition can spring up daily is a testament to the great work WordPress’ developers have done. Why should you choose WordPress? The world’s best blogging platform. WordPress started life as a blogging platform and it still excels in this role. Maintaining a blog on a WordPress website has never been easier, made possible by its intuitive page hierarchy structure and MS Word like text editor. An active blog on your site is great for outreach and tells search engines like Google that your website is regularly active. This will draw traffic by improving your ranking in search engine results, in addition to the natural interest that is created by propagating genuinely interesting articles. WordPress websites are easy to use and maintain. The WordPress Content Management System (CMS) backend interface. Once your WordPress website has been deployed, the simple to navigate control panel will enable administrators to maintain a large and busy website without any programming knowledge. Posting new content is no more difficult than crafting a document in a word processing package and inserting it into your site. Unlike many content management systems’s all back-end functionality is organised in an efficient and logical order which saves users countless hours searching around for key functions or page attributes and categories. After only a brief training session you’ll soon be able to undertake all the major roles of managing the content of your website. The intuitive page hierarchy in addition to the clean coding that makes up the platform also appeals to search engines. Search engines like Google give preference to websites with well written code that are free from errors. WordPress excels in this role meaning that simply by using this platform you’ll already have an advantage when it comes to search engine optimisation (SEO). WordPress features great website security. One of the advantages about the popularity of WordPress is that any system bugs are quickly noticed. There is a large developer base that has complete access to the WordPress code and the upper echelons of WordPress management are always working on continual improvement. This means that as time goes on you can expect WordPress to improve in its flexibility and functioning not to mention keeping pace with any new or evolving technologies. This is also a great boon when it comes to website security, the platform is consistently being tested in this regard and you can rest assured that any security weaknesses will be quickly noticed and solved. The vast numbers of people using WordPress as a content management system is based not on monopolisation, slick packaging or pricing concerns. It’s based on the objective fact that WordPress is a highly functional, secure yet easy to use CMS. This is why we encourage anyone wanting to see success from their website development project to consider WordPress as their CMS platform.